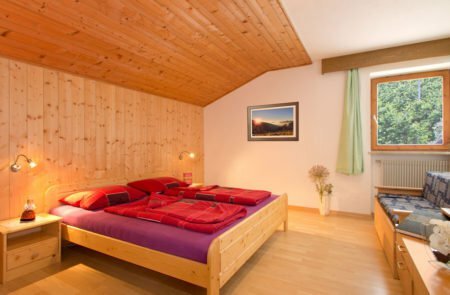 The farm Wieshof in Silandro is located in a quiet secluded location on a sunny slope at an altitude of 950 meters. With great attention to detail the Platzgummer family has furnished the three apartments. A lot of wood was used for the interiors. This natural material creates a comfortable ambiance and makes for a cosy atmosphere. 2-5 or 2-7 people find plenty of space in the holiday apartments in Silandro. 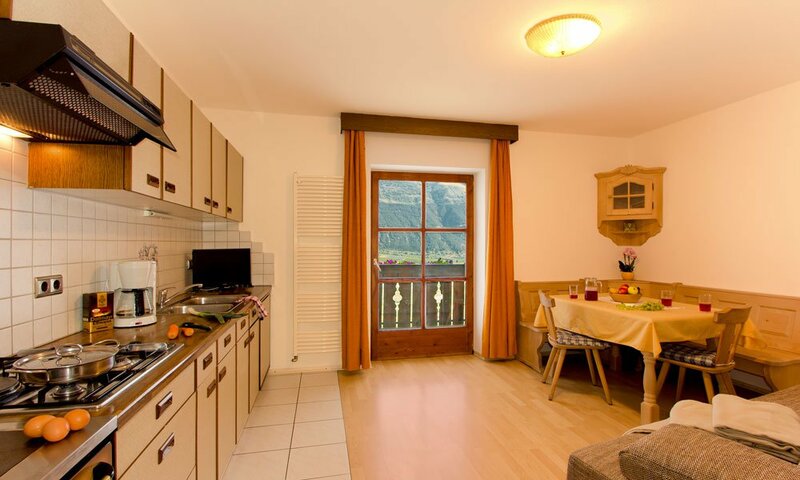 The ground floor apartment has a large terrace with a magnificent view over the valley. The apartments on the second floor have a balcony facing south. From here you can enjoy panoramic views of the Stelvio National Park. All apartments have a spacious eat-in kitchen with a double sofa bed. In the separate bedrooms bed linen and towels are available upon on your arrival. Toddler equipment is available and all apartments are equipped with a bathroom with toilet and shower or bath tub. A TV with satellite connection is located in each room. A private playground, a parking lot and a barbecue grill are also available on the Wieshof. A sunbathing lawn is located behind the house, and upon request, you may bring your dog to the holiday apartment in Silandro.